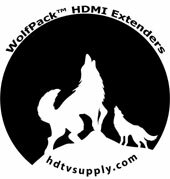 This WolfPack 4K 60Hz HDMI HDBaseT Extender sends a lossless HDMI signal up to 220 feet and supports 3D, 24bits deep color, 4Kx2K, CEC, HDCP and ultra HD 4KX2K@60Hz. 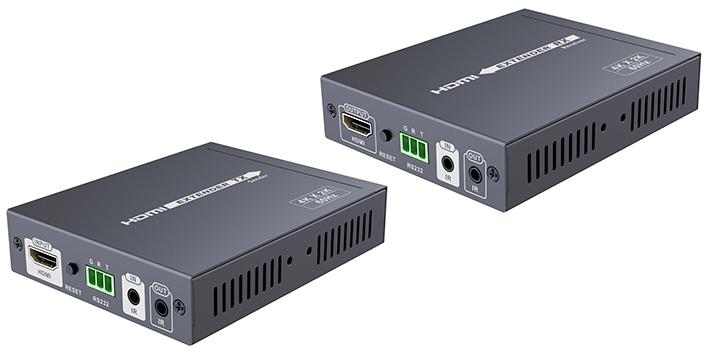 This WolfPack 4K 60Hz HDMI HDBaseT Extender supports (POE) power over a network cable by just connecting the power adapter with the receiver unit. It's a perfect solution for audio＆video transmission in applications of HD conference system, HD multimedia education system, HD digital advertising and signage etc. NOTE: HDTV Supplys implementation of the HDBaseT technology and this HDBaseT Extender with 18 GBPS Bandwidth adds virtually zero latency to the signal, less than 7 microseconds over 220 feet of CATx cable. At 100 feet you are talking about 3 microseconds. This means for example, in a church or auditorium, the speakers lips are in synch with the image on all the TVs and projectors. Uses HDBaseT HDMI extension technology. 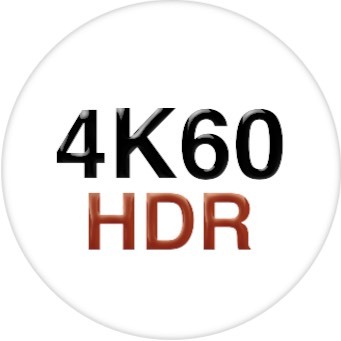 Supports HDMI2.0, HDCP2.2, CEC and 24 bit deep color. Support LPCM DTS-HD and Dolby True HD audio. Transmit 4Kx2K@60Hz signal over CAT6 up to 70 meters. POE powered. It only needs to be connected to the 12V power on the receiver unit and then both transmitter and receiver will be powered. Why not buy this WolfPack 4K 60Hz HDMI HDBaseT Extender today? A: Yes and 1 - AC adapter as it is a POE (POC) design. HDTV Supply includes a 1 Year Limited Warranty on this HDMI HDBaseT Extender. The warranty states that (a) this unit will perform substantially in accordance with the accompanying written materials for a period of 1 year from the date of receipt and (b) that the HDMI HDBaseT Extender will be free from defects in materials & workmanship under normal use & service for a period of 1 year. In order to get a warranty replacement for a defective priduct, HDTV Supplys Support Team will verify the product is eligible for warranty. An RMA number will then be issued. The shipped unit will be in like new conditions, tested and all components included.